Hello people of the internet!!! On today’s ‘YouTube Wednesday’ we’re going to review a very cool musician, who has found a way to merge her love of anime, with her love of music. If you haven’t heard of Amanda Lee (aka ‘LeeandLie` on YouTube), then you’re missing out on a uniquely talented singer/songwriter/voice actress. 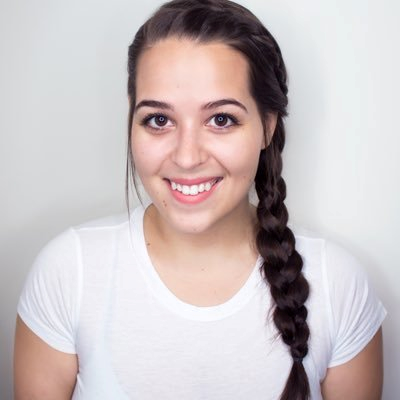 At the time of this blog post Amanda has over 1.2 million YouTube subscribers, & has worked on numerous anime/video game titles such as: Cardcaptor Sakura: Clear Card, Overlord II, One Piece, Anonymous Noise, Dragon Ball: Xenoverse 2, Yandere Simulator, & many more. In 2017 she also released her debut EP which included 5 original songs co-written by Amanda. Needless to say she has become a rising star both online & in the voice acting industry, so now let’s catch all of y’all up with the amazingness that is Amanda Lee. Ready? Ok, let’s go!!! The first video we’re going to talk about is Amanda’s ‘Sword Art Online- Crossing Field (Opening) [English ver]’ cover video, which was uploaded on September 2, 2012 (you can check out this video below). This is a very interesting video that really shows a unique take on this song. It’s very cool to see Amanda change the original Japanese lyrics into original English lyrics that still fit the beat of the music, but show her original take on the song. This skill shows that Amanda was a true artist even towards the beginning of her career. The next video we’re going to talk about is her ‘Dango Daikazoku (Ending) |English ver |’ cover video which was uploaded on February 22, 2014. Just in the 1 year & 5 months between this video & the Sword Art Online video, you can see a vast improvement in Amanda’s vocals, which shows just how dedicated she is to her craft. This cover is also a great example of how well Amanda can project the emotional undertones of a song, & really make her listener understand what the lyrics are trying to convey. Next up we have Amanda’s ‘Pokemon – Pokemon Theme (Full Opening)’ video which features Natewantstobattle, which was uploaded on December 12, 2016 (you can check out this video below). This is definitely one of my favorite videos because it shows such a growth in Amanda’s artistry & video production skills. This video features revolving animation from all of the Pokemon generations from the 90s until present day which so unique & cool. This video shows the amount of thought Amanda puts into her videos, which proves how much she cares about her subscribers having a great experience on her channel. Lastly we have her ‘Debut EP Hourglass – Digital + Physical copies [Pre-Order NOW] video’, which was uploaded on August 14, 2017. 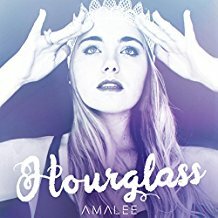 This video features snippets of all 5 original songs on the ‘Hourglass’ EP, & really gives you a sense of Amanda’s personal musical style. In this EP the musical styles range from Pop, to Rock, to even EDM based. It definitely shows that Amanda is very comfortable as an artist, & that she will continue to impress us all as her career continues to grow. All photos and information used in this blog belong to Amanda Lee, LeeandLie, www.amandaleeva.com, YouTube, Twitter, Instagram, Luke Thomas, Aniplex Inc., John Siegler, John Loeffler, Maeda Jun, Takumaru, and all companies, individuals, corporations, managers, writers, producers, authors, publishers, and/or businesses that should receive credit for any book(s), mentioned in this blog post, all of the and all companies, individuals, corporations, managers, writers, producers, and/or businesses that should receive credit for anything mentioned in this blog post, and all original owners. I do not own anything in this blog. If any people, corporations, businesses, companies, etc, were not previously given credit for their work, they are given credit now and their previous absence was unintentional. All opinions expressed in this blog are my own. I wrote this blog for entertainment purposes and no copyright infringement is intended. celindareyesblog August 10, 2018 No Comments on YouTube Wednesday: Amanda Lee…the musician/voice actress who carved her own path to success on YouTube. Category: YouTube Wednesday. Tagged: 2015, 2016, 2017, 2018, Amanda Lee, amazing, anime, aniplex, Aniplex Inc., anituber, artist, cover, edm, ep, Funimation, instagram, John Loeffler, John Siegler, LeeandLie, Luke Thomas, Maeda Jun, new, pop, rock, song, Takumaru, twitter, www.amandaleeva.com, youtube. Hello people of the internet!!! On today’s ‘YouTube Wednesday’ we’re going to talk about an amazing BookTuber that you NEED to be subscribed to. I’m serious. Go subscribe right now & then we’ll continue. Don’t worry I’ll wait. Did you subscribe? Awesome! Now that you’ve already made one great decision today, make another one by sticking around to find out why you’ll love Sophie’s channel (trust me you made the right decision by subscribing). Ready? Ok, let’s go!!! 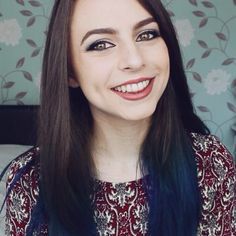 The first video that we’re going to talk about is Sophie’s ‘The Booktube Newbie Tag!’, which was uploaded on March 27th, 2015 (you can check out this video below). This is a really great video to start off with because it allows you to not only get a glimpse of Sophie’s personality, but also her love of books. In this video Sophie allows us to really feel like we know her by explaining why she started a BookTube channel, what book/book series got her into reading, and what fun & unique things she can bring to the BookTube community. After watching this video you’ll feel like Sophie is already your bestie, and it will leave you wanting to know even more about her. Luckily for us, we can learn more about Sophie in her ‘FIVE OF MY AUTO BUY AUTHORS’ video, which was uploaded on July 10th, 2015. Honestly you can learn A LOT about a person based off of who their fav authors are. When you’re a bookworm you read A LOT of books, and I mean A LOT of books so because of this, we all have a small list of authors who we love so much that you can blindly buy any book they release and know that you’ll likely fall in love with it. It’s fun to see our fav BookTubers nerd out with us. Next up we have Sophie’s ‘BOOKS I’M BRINGING TO COLLEGE!’ video, which was uploaded on September 26th, 2015. Ok, real talk for a second everyone. Now if you’re a book nerd then you know that this is a problem that you either have faced, or will face in your lifetime. For most of us books are like family, they take you to far away places when you need an escape, put a smile on your face during good times, and offer you a warm sheet to cry on during bad times. So the prospect of leaving behind these treasures when we pursue higher education is really sad. Luckily, Sophie is here to remind us that it’s fine if you take some of your books with you on this adventure they call college, and even describes how she decided which books to take. This video is a MUST WATCH for all book addicts. The last video that we’re going to talk about is Sophie’s ‘ANTICIPATED RELEASES OF 2016’ video, which was uploaded on January 9th, 2016 (you can check out the video below). In this video Sophie gives us a list of some of the INCREDIBLE books she’s excited for this year, and also a quick summary of why she’s excited for these books. If you love books then this video will definitely get you hyped for the many awesome 2016 releases (it’s going to be a VERY good year people of the internet!). So now that you’re completely addicted to Sophie’s channel, go check out the rest of her videos, I promise that this is one channel that you’ll constantly have on replay. All photos and information used in this blog belong to Sophie, Sophie’s Series, YouTube, Twitter, Instagram, Goodreads, all companies, individuals, corporations, managers, writers, producers, authors, publishers, and/or businesses that should receive credit for any book(s), mentioned in this blog post, all of the and all companies, individuals, corporations, managers, writers, producers, and/or businesses that should receive credit for anything mentioned in this blog post, and all original owners. I do not own anything in this blog. If any people, corporations, businesses, companies, etc, were not previously given credit for their work, they are given credit now and their previous absence was unintentional. All opinions expressed in this blog are my own. I wrote this blog for entertainment purposes and no copyright infringement is intended. celindareyesblog June 15, 2016 No Comments on YouTube Wednesday: Sophie’s Series…the booktuber that you will love fangirling out with. Category: YouTube Wednesday. Tagged: 2015, 2016, adventure, amazing, anticipated, awesome, books, booktube, booktuber, college, duology, fantasy, fun, Goodreads, instagram, must see, new, novel, romance, sci fi, Sophie's Series, TAG, thriller, trilogy, twitter, video, writer, young adult, youtube, youtuber. 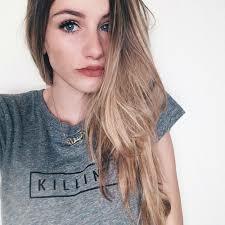 Hello people of the internet!!! On today’s ‘Monday Memos’ we’re going to talk about everybody’s favorite pastime…watching T.V.! January is an interesting time for T.V., because this is when new seasons premiere, new shows are added to the list of thing’s we’re obsessed with, and our hearts are broken when our fav shows are cancelled. So let’s take a look at some of the shows in 2014 & 2015 that were taken from us far too soon. Ready? Ok, let’s go!!! This high action drama was another show that had the potential to be so great. 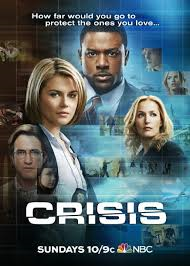 It told the story of what happens when the nation’s most powerful people’s children are kidnapped and held for ransom. We not only got to see the drama that the adults went through as they struggled with their parental love and civil duties, but we also got to see the drama that the kids went though as they tried to survive. 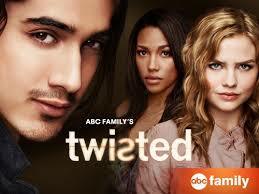 This is a show that always kept its’ audience on their toes, so I would have liked to see how it would have continued. 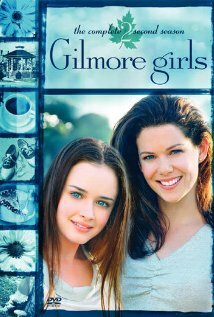 This show was able to perfectly balance, romance, drama, tragedy, and comedy in an amazing story of terminal ill teenager who live in a hospital. Even though the show only had a 13 episode run, they did a great job of developing their characters, and it’s obvious that we would have fallen even more in love with these characters as the series continued. This was was another drama that always had us on our toes. This show told the story of a boy named Danny who returns to his hometown after 5 years in a juvenile detention center after being convicted of murdering his aunt. When he returns he reunites with his 2 childhood best friends and soon finds himself accused of committing another murder after a popular girl from his high school dies. In the rest of the season we get romance, lots of drama, and more questions about whether or not Danny really killed his aunt, and if he didn’t what secrets is his family hiding. 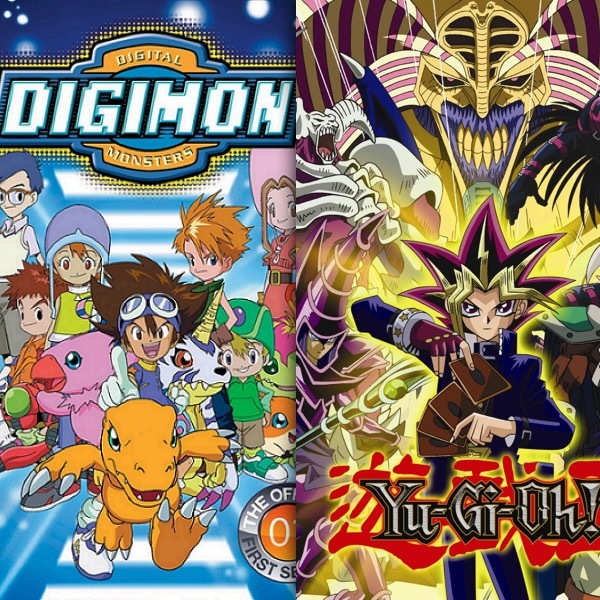 It’s such a shame that this show ended before we could really dive into the story, and explore these complex characters. 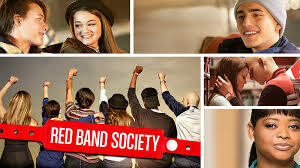 All photos and information used in this blog belong to NBC, FOX, ABC Family, Crisis, Red Band Society, Twisted, IMDB, Adam Mitch, Avan Jogia, Maddie Hasson, Kylie Bunbury, John Ziffren, David Babcock, Adam Milch, Gavin Polone, Charles Pratt Jr., Nathan Folks, Erin Maher, Anatoli Tadesse, Kathy Lindsberg, David Grace, David Hartle, Pariah Television, ProdCo Original, Basement Plays Entertainment, ABC Family Original Productions, Disney-ABC Domestic Television, Rand Ravich, Gillian Anderson, Rachael Taylor, Lance Gross Dermot Mulroney, Phillip Noyce, Far Shariat, 20th Century FOX Television, Ravich-Shariat Productions, 20th Television, play.google.com, amazon.com, Red Band Society, FOX, Polseres vermelles, Albert Espinosa, TV3, Octavia Spencer, Astro, Dave Annable, Ciara Bravo, Zoe Levin, Griffin Gluck, Rebecca Rittenhouse, Charlie Rowe, Nolan Sotillo, Wilson Cruz, Darren Kagasoff, Thomas Ian Nicholas, Jes Macallan, Jessica Lu, John Allen Nelson, Marin Hinkle, Bertila Damas, Darryl Frank, Justin Falvey, Sergio Aguero, Jason Ensler, Jeannine Renshaw, Rina Mimoun, Margaret Nagle, Steven Spielberg, ABC Studios, Amblin Television, Filmax International, and all companies, individuals, corporations, managers, writers, producers, and/or businesses that should receive credit for anything mentioned in this blog post, and all original owners. I do not own anything in this blog. If any people, corporations, businesses, companies, etc, were not previously given credit for their work, they are given credit now and their previous absence was unintentional. All opinions expressed in this blog are my own. I wrote this blog for entertainment purposes and no copyright infringement is intended. 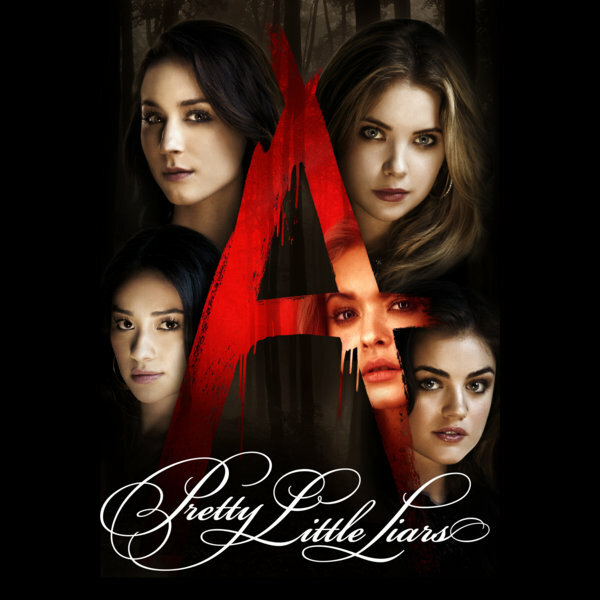 celindareyesblog January 5, 2016 No Comments on Monday Memos: Top 3 TV shows that left us to soon in 2014 & 2015. Category: Monday Memos. Tagged: 2014, 2015, 2016, 20th Century Fox Television, 20th Television, abc family, ABC Family Original Productions, ABC Studios, Adam Milch, Adam Mitch, Albert Espinosa, amazing, amazon.com, Amblin Television, Anatoli Tadesse, Astro, Avan Jogia, Basement Plays Entertainment, Bertila Damas, cancelled, Charles Pratt Jr., Charlie Rowe, Ciara Bravo, comedy, Crisis, Darren Kagasoff, Darryl Frank, Dave Annable, David Babcock, David Grace, David Hartle, Disney-ABC Domestic Television, drama, Erin Maher, fall, Far Shariat, Filmax International, fox, Gavin Polone, Gillian Anderson, Griffin Gluck, imdb, Jason Ensler, Jeannine Renshaw, Jes Macallan, Jessica Lu, John Allen Nelson, John Ziffren, Justin Falvey, Kathy Lindsberg, Kylie Bunbury, Lance Gross Dermot Mulroney, Maddie Hasson, Margaret Nagle, Marin Hinkle, Nathan Folks, nbc, new, Nolan Sotillo, Octavia Spencer, Pariah Television, Phillip Noyce, play.google.com, Polseres vermelles, ProdCo Original, Rachael Taylor, Rand Ravich, Ravich-Shariat Productions, Rebecca Rittenhouse, Red Band Society, Rina Mimoun, romace, Sergio Aguero, show, spring, Steven Spielberg, summer, Thomas Ian Nicholas, tv, TV3, Twisted, Wilson Cruz, winter, Zoe Levin. Hello people of the internet!!! On today’s ‘YouTube Wednesday’ we’re going to talk about an amazing channel that’s a little different than what we usually discuss. I think the coolest thing about YouTube that draws us all to it is that everyone is able to find interesting, entertaining people who share our interests and obsessions. Whether you love amazing covers, unique beauty/hair tutorials, hilarious comedians, or anything in between you’ll find the perfect channel to subscribe to. Today we’re going to talk about an incredible Booktube channel called abookutopia (which features a seriously entertaining self-proclaimed book-o-holic named Sasha) so if you love books and/or anything book related then you’re going to want to keep reading. Ready? Ok, let’s go!!! The first video that we’re going to talk about is Sasha’s ‘Divergent Book Trailer’, which was uploaded on July 11th, 2013 (you check out this video below) is a really fun skit that all Divergent fans will love! Sasha does a great job of showing that not only is she very knowledgeable about this amazing book, but she also has the ability to instantly mesmerize her audience and keep us interested throughout the video. In a world where most people have a VERY short attention span (I mean honestly why do you think we love Vine so much), it’s interesting to find someone that makes you want to watch their videos and not worry about the length of the video. The next video that we’re going to talk about is Sasha’s ‘Interview with Melissa Landers!’, which was uploaded on May 28th, 2014. This is a really fun interview to watch because it is extremely well executed, and demonstrates Sasha’s natural on-camera charisma and fun-loving nature. She has a lot of other really interesting interview with various authors on her channel so I would definitely check them all out! The next video that we’re going to talk about is Sasha’s ‘If You Like This…| BOOK RECOMMENDATIONS!’ video, which was uploaded on February 5th, 2015. If you are a HUGE book lover (c’mon you know everyone reading this blog post should have their hand up in the air right now…yes you too), then you’ll want to watch this video on replay. 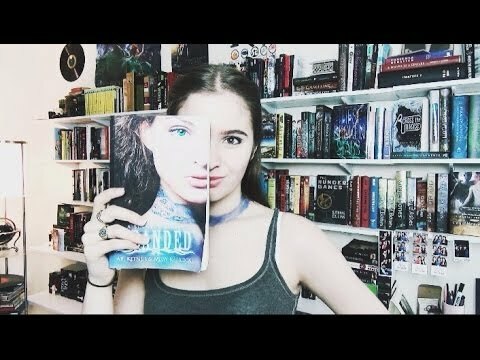 In this video Sasha picks a really interesting and diverse group of books, and not only tells you which books you should check out that are similar to these books, but also why they’re similar. The final video that we’re going to talk abut is Sasha’s ‘My Playster eBook Library Tour!’ video which was uploaded on December 7th, 2015 (you can check out this video below). In the past few years everything we enjoy has gone digital and mobile, from handheld/mobile video games, to our music, movies, and even books. Unfortunately sometimes we are just so busy that we may not have time to actually pick up a physical copy of a book and let our inner bookworm go wild. Luckily, e-books solve this problem by allowing us to take digital copies of our favorite books with us anywhere through the use of a phone, tablet, and other devices. In this video Sasha tells us all about the website playster.com, and goes through her personal Playster eBook library. if you want to check out a new site where you can find e-books, movies, music, and games, or if you just want recommendations on new books to check out, then this is the video for you! All photos and information used in this blog belong to Sasha Alsberg, abookutopia, YouTube, Twitter, Instagram, abookutopiacom, Goodreads, playster.com, Playster, Divergent, Katherine Tegen Books, HarperCollins, Veronica Roth, companies, individuals, corporations, managers, writers, producers, and/or businesses that should receive credit for any book(s), mentioned in this blog post, all of the and all companies, individuals, corporations, managers, writers, producers, and/or businesses that should receive credit for anything mentioned in this blog post, and all original owners. I do not own anything in this blog. If any people, corporations, businesses, companies, etc, were not previously given credit for their work, they are given credit now and their previous absence was unintentional. All opinions expressed in this blog are my own. I wrote this blog for entertainment purposes and no copyright infringement is intended. celindareyesblog December 31, 2015 No Comments on YouTube Wednesday: abookutopia…the channel that is truly a utopia for all bookworms. Category: YouTube Wednesday. Tagged: 2015, 2016, abookutopia, abookutopiacom, action, actor, actress, adventure, amazing, book, booktube, bookworm, divergent, dystopian, fantasy, film, fun, Goodreads, HarperCollins, instagram, Katherine Tegen Books, love, movies, nerd, new, novel, Playster, playster.com, reading, review, romance, Sasha Alsberg, skit, thriller, twitter, Veronica Roth, YA, young adult, youtube, youtuber.